New Haven, in the U.S. For other places to visit, reviews, and other tourist information, go to the New Haven trip builder website . Kuala Lumpur, Malaysia to New Haven is an approximately 33-hour flight. The time zone changes from Malaysia Time to Eastern Standard Time, which is usually a -13 hour difference. Traveling from Kuala Lumpur in May, things will get colder in New Haven: highs are around 23°C and lows about 11°C. Cap off your sightseeing on the 15th (Wed) early enough to go by car to Newport. 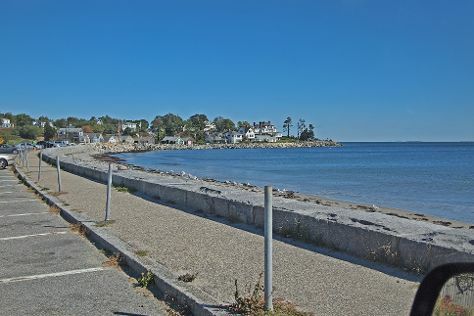 On the 15th (Wed), shop like a local with Thames Street, shop like a local with Thames Glass, then cruise along Ocean Drive Historic District, then contemplate the long history of The Elms, and finally get to know the fascinating history of Cliff Walk. To see where to stay, more things to do, and other tourist information, go to the Newport road trip site . You can drive from New Haven to Newport in 2.5 hours. Alternatively, you can take a train; or take a bus. In May in Newport, expect temperatures between 21°C during the day and 11°C at night. Cap off your sightseeing on the 16th (Thu) early enough to go by car to Providence. Kick off your visit on the 16th (Thu): appreciate the extensive heritage of Water Place Park and Riverwalk, admire the masterpieces at RISD Museum, see the interesting displays at Battleship Cove, then contemplate the long history of Lizzie Borden House, and finally appreciate the extensive heritage of Historic Federal Hill. For where to stay, photos, and other tourist information, go to the Providence trip planner . You can drive from Newport to Providence in an hour. Alternatively, you can take a bus; or ride a ferry. May in Providence sees daily highs of 24°C and lows of 11°C at night. Finish your sightseeing early on the 17th (Fri) to allow enough time to drive to Sandwich. Sandwich is a town in Barnstable County, Massachusetts, United States. For photos, where to stay, maps, and more tourist information, read our Sandwich trip website . Traveling by car from Newport to Sandwich takes 1.5 hours. Alternatively, you can take a bus; or do a combination of bus and train. In May in Sandwich, expect temperatures between 21°C during the day and 9°C at night. Cap off your sightseeing on the 18th (Sat) early enough to catcht the bus to Boston. Start off your visit on the 17th (Fri): buy something for everyone on your list at Faneuil Hall Marketplace, shop like a local with Newbury Street, stop by Brookline Booksmith, then take a stroll through North End, and finally get to know the fascinating history of Freedom Trail. Before you visit Boston, use our trip planner to discover what you can do and see there. You can take a bus from Sandwich to Boston in an hour. Alternatively, you can drive. May in Boston sees daily highs of 22°C and lows of 11°C at night. Wrap up your sightseeing on the 18th (Sat) to allow time to drive to Portsmouth. Portsmouth is a city in Rockingham County, New Hampshire, in the United States. On the 18th (Sat), contemplate the long history of Strawbery Banke Museum, stop by Kittery Trading Post, then stroll through Hampton Beach State Park, and finally look for all kinds of wild species at Wildlife Areas. To see reviews, photos, traveler tips, and more tourist information, use the Portsmouth itinerary planner. Traveling by car from Boston to Portsmouth takes 1.5 hours. Alternatively, you can take a bus. In May, daytime highs in Portsmouth are 22°C, while nighttime lows are 9°C. On the 19th (Sun), wrap the sightseeing up by early afternoon so you can drive to Portland. To see traveler tips, ratings, more things to do, and tourist information, read Portland trip app . Getting from Portsmouth to Portland by car takes about an hour. Other options: take a train. Expect a daytime high around 20°C in May, and nighttime lows around 8°C. Cap off your sightseeing on the 19th (Sun) early enough to go by car to Bar Harbor. Bar Harbor is a town on Mount Desert Island in Hancock County, Maine, United States. Kick off your visit on the 20th (Mon): examine the collection at The Seal Cove Auto Museum, then enjoy the sea views from Bass Harbor Head Lighthouse, then tour the pleasant surroundings at Sand Beach, and finally identify plant and animal life at Shore Path. For traveler tips, other places to visit, more things to do, and tourist information, use the Bar Harbor driving holiday planner. Drive from Portland to Bar Harbor in 3.5 hours. Alternatively, you can take a bus; or do a combination of bus and flight. May in Bar Harbor sees daily highs of 18°C and lows of 7°C at night. Wrap up your sightseeing by early afternoon on the 21st (Tue) to allow enough time to travel back home.